I've been doing a lot of thinking about my studio space lately. 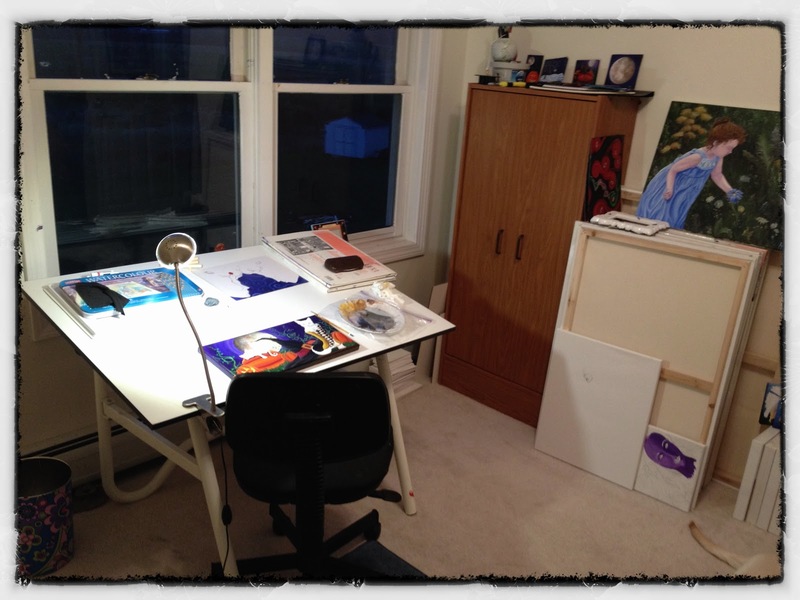 It's been amazing to see other artists' spaces, and then to take a second look at my own. My studio space used to be in the basement, but I found the darkness a dreary and draining sort of heaviness that I couldn't stand, no matter how many lights I brought in. So, I ended up moving my studio into one of the bedrooms upstairs. It originally was my daughter's old bedroom, and it used to be two different shades of Pepto Bismal pink. I'm sure you can imagine my panic need to paint it something else as quickly as possible! It's a very small room (about 9' x 10' at best) and thus any color on the walls can be problematic when painting, because they can change the tones of what I'm working on. I went with something just a touch off-white, to try to avoid the color refraction problem. 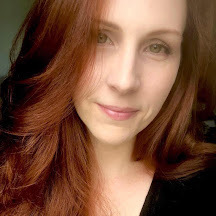 I cannot tell you the relief I experienced when the vibrant pink was finally covered up! However, this is now the only room in my house with white walls. I'm simply addicted to color, so it's strange to think that where I work is the most lacking in it. Still, it seemed the only solution. With such a small space, I tend to "leak" into the other areas of the house. I had recently set up my studio table in the family room to accommodate both my need to feel less isolated, and also have access to the television (I simply love shows playing while I work. It's hard for me to sit still and watch anything without finding most television shows annoying, but I can paint through them and follow the stories just fine!) I also had shipments working off the dining room table, and other canvases and prints stacked in other areas. My poor family was tiptoeing around my work, which seemed to have exploded into almost every area of the house! I reorganized and cleaned up this week, pulling my studio back into my studio space. I have to be constantly vigilant with my space due to its size, otherwise my small space becomes a disaster area! It's all clean, but I'm realizing how... cold it all feels. A friendly face to greeeeeet you! Several years ago, I helped with an elementary production of Alice in Wonderland (before I ever started my current series). I created the Cheshire Cat costume by painting this on fabric (which took forever, having not painted on unprimed fabric before, it was a multi-layer process), and it went on one child's chest. The costume took three kids, all dressed in black. The second had a black cylinder spiraled with bright teal fur, the third had painted legs, fur and tail on them. We set them up in a dark area with a black light on them, and it allowed the Cheshire to come apart or go back together, and really turned out very cool! I kept his face when we were through, although I'm not sure why. I just kind of like him. As I develop my Cheshire for my series, I expect him to be VERY different, but this one will always be my first! Looking through the door (you can see how Lily has grown! compared with the photo below?) 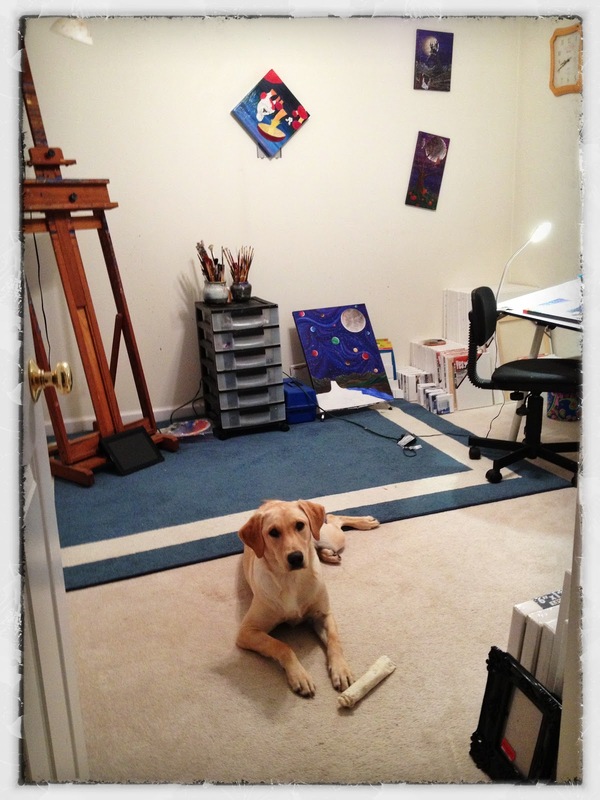 She's still rambunctious at 6 months old, but she immediately settles down the moment we set foot in my studio. She's my studio dog! Puppy Lily! Just for reference. Without drying racks (or space for one), I've been using my walls. I hang paintings over every spare inch of space (away from my easel, because of the splashing) and I think that I hadn't noticed how barren everything was because I had so many hanging for the Alice show. Since I released them for sale and shipped everything out, suddenly everything is stark once again and I realize I don't like it. When I had envisioned my studio, I always thought about collecting things that I enjoy around me, and that inspire. Yet, I didn't do that. I'm not sure why. Space is certainly an issue. I've already proven I can fill up an entire house with my space needs! So bringing it down to such a small space makes it tricky. Maybe if I put in shelves, I can start collecting stuff. 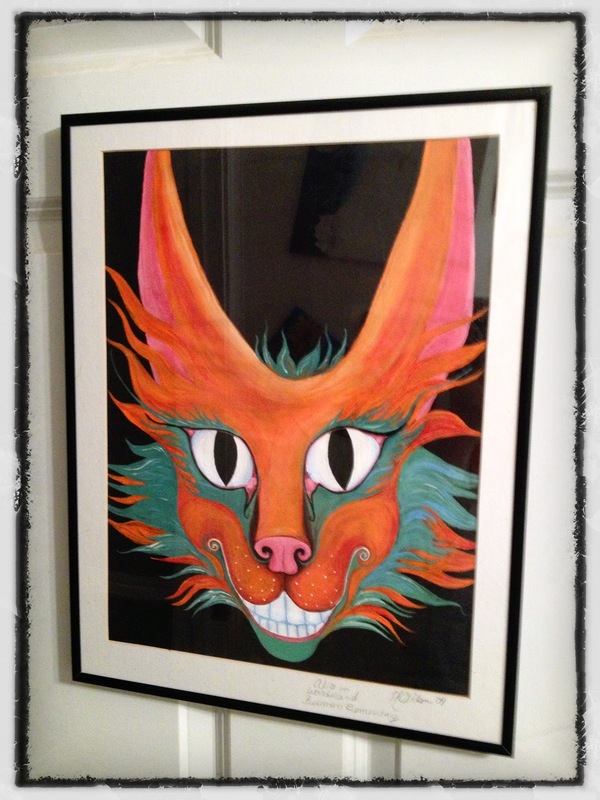 I also have a collection of work from other artists and some friends that I'd like to put up, to have around me. I have purchased prints and such, but haven't hung any because I can't figure out how to pull that off. In my head, I have a lovely cottage in the woods, with flowers blooming in boxes out the windows which are swung open to let the light in. There are bits of things on shelves and tables, sparkly finds, and more. There is room for everything. Drying racks, a table for shipping, a supply room, a sink. Cabinets, and fluffy chairs. In other news I didn't get my Halloween painting finished because I was pulling my studio back together and out of the rest of the house, but I did finally start in on the boot! Working on the checkered squares, I think I learned something that will help me go forward in acrylic painting with more speed... I hope. 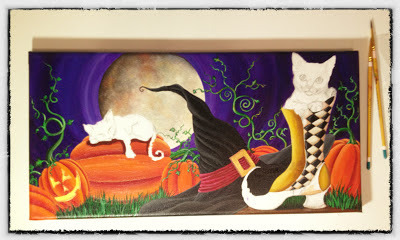 Current progress on Halloween kittens painting. I layered and then walked away. When I came back hours later, I realized I loved the effect. This is important because I'm a mixer. I want to smooth everything out to get it to work, and layering feels choppy. Yet, with something like acrylics where the drying time is dramatically different from oils, mixing is simply asking for a migraine. I do it, but I know this is what is holding up my progress and costing me so much time. I like the way the checkers came out. If I can sort of adapt to layering and being OK with the choppy nature of it, I may finally be able to speed up my own process. Wouldn't that be grand? Good art, like good cooking, takes time. :) The painting is looking spectacular and I know it will be amazing when finished. I heard of a couple of people finding houses scheduled to be torn down to build something else (but not condemned), and hauling them to their property (the owner will let you have it for free, just pay your own costs) and making them their studio. I've often wondered about that, because I have the space out here in the country! My white walls are normally hanging with my drying work, it's just that I sold most of my work two weeks ago, so everything is missing now. I am starting to collect from other artists who blog as well though. Oh, just about forgot. I bet the Cheshire Cat costume was a rousing hit with the audience, would have love to have been there to see the effect of the children moving to make the cat come apart in sections. Did you take any photos of the children lined up together to form the whole Cat?